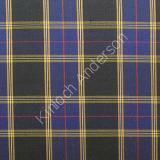 The Britannia Tartan was designed for the Royal Yacht Britannia. 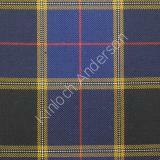 It was based on the sett of the Royal Stewart tartan with the colours of dark navy,blue,red,gold and white belonging to Britannia's nautical history and heritage. 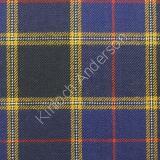 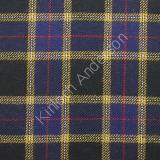 This exclusive tartan is officially registered and accredited by the Scottish Tartans Society.